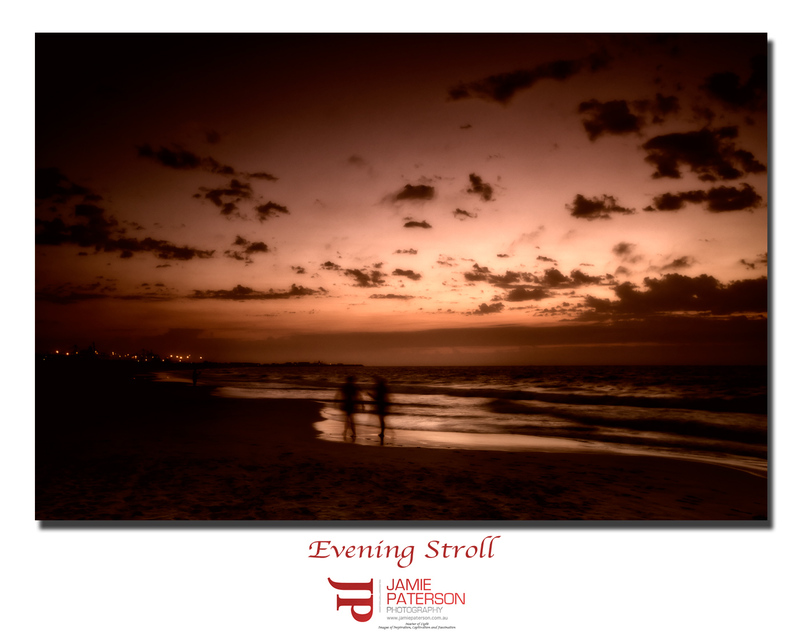 This entry was posted on Wednesday, February 8, 2012 by jamiepatersonphotography. It was filed under australian landscape photography and was tagged with fremantle, impressionist photography, landscape photography, leighton beach, seascape photography, western australia. Mate, I don’t need a day to be romantic. I’m romantic all year around (yeah I know we all say that). I’ve been sitting on this one for ages but after reading your True North Mark post it just reminded me that I took this photo because the simple gesture of two people just walking together can be one of the most rewarding things in life. Thank you so much Chloe. Really appreciate it.